Each year, NYC’s Department of Housing Preservation and Development (HPD) issues thousands of lead violations to property owners. Many of these violations are true lead hazards, tested by HPD’s Lead Unit using a specialized testing device called an x-ray fluorescence analyzer, commonly known as the XRF gun. However, many lead violations are issued even when no actual lead testing has been conducted. These violations are known as Order 616, or “Presumed Lead Paint”, violations, and just like actual lead violations, they are classified as Immediately Hazardous. Typically, Presumed Lead violations are issued by inspectors from the HPD Lead Unit when they cannot gain access to the apartment in order to confirm a previous inspector’s report of peeling or deteriorating paint. Interestingly, these original inspections are most often conducted because the tenant called 311 to complain about something completely unrelated to paint, let alone lead paint. That means that property owners are at risk of receiving Presumed Lead violations each time an inspector enters an apartment. One piece of good news for owners is that HPD cannot simply presume the presence of lead paint wherever there is peeling paint. The guidelines for presumption of lead are clearly defined in the New York City Childhood Lead Poisoning Prevention Act of 2003, also known as Local Law 1 of the year 2004, which states, “In any multiple dwelling erected prior to January 1, 1960, it shall be presumed that the paint or other similar surface-coating material in any dwelling unit where a child of applicable age resides or in the common areas is lead-based paint.” Originally, this law only applied to apartments with children under the age of seven, but it was revised in 2006 by the Board of Health to now apply to children under the age of six. Therefore, if an HPD inspector walks into a building built before 1960 to inspect an apartment- for any reason- they are required to ask the tenant whether there is a child under six living in the apartment. If there is, they are then required to conduct an apartment-wide examination to look for peeling paint or damaged surface coating and schedule a lead inspection if they find any. The first, and perhaps most obvious, thing to do is confirm that the building was in fact built before January 1, 1960. This may sound silly but HPD has erroneously issued Presumed Lead violations to owners of buildings that were in fact built after this date. In such a case, the owner or manager can simply submit a copy of the building’s Certificate of Occupancy along with a completed owner’s contestation form which is mailed out with every Presumed Lead violation. If the building was built before 1960, as is the case with an overwhelmingly large number of multiple dwellings in NYC, all is not lost. The Presumed Lead violation can still be contested by proving that the area in question does not contain dangerous levels of lead. To do this, an EPA certified firm must be hired to test the area specified by the violation using an XRF gun. Moreover, the person conducting the inspection must also be certified by the EPA and must have undergone training in the proper operation of the XRF gun. To qualify, the tested area must not contain lead levels greater than one milligram of lead per square centimeter as measured by the XRF Gun. If the test results using the XRF are inconclusive, (which can often occur on metal surfaces,) HPD allows confirmation by laboratory analysis of paint chips. If the results indicate acceptable lead levels fill out the contestation form, attach documentation from the inspection company (which should include a report from the inspector, an affidavit and certification), and ensure that the paperwork is received by HPD at least six days prior to the correction date specified on the violation. When HPD receives the appropriate paperwork indicating the lead levels are within the permissible limit, the violation will be downgraded to an Order 556 or 554, otherwise known as a simple “Paint and Plaster” violation. The contestation process may be quite paper intensive and require you and your team to move relatively quickly to get the testing done and the paperwork submitted on time. Not doing it, however, means that every Presumed Lead violation becomes a real Lead offense along with all the costly abatement, even more paperwork, fines and potential litigation that a Lead Class C Immediately Hazardous violation carries. While contesting a Presumed Lead violation may be a smart move once you get a violation, ensuring you never get the violation in the first place is always the best way to go. The risk of getting any lead violations can be greatly reduced by inspecting apartments regularly and making sure there are no cracks in the walls or peeling paint around windows and doors. 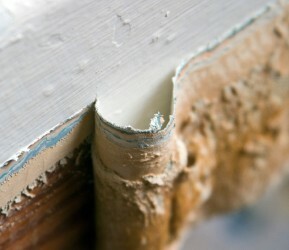 Correcting conditions such as leaky pipes, sinks, and radiators can help avoid peeling paint altogether. While this may seem like a godsend, going through the process is not simple, and it is important to weigh the cost and short-term headache against the long-term benefits before initiating this, or any, process. While not as expensive as full lead abatement, XRF testing must be conducted by certified professionals, which can cost several hundred dollars- and can take up to an hour- per apartment. The findings need to be compiled into an extensive report, which includes a list of all surfaces tested along with a summary of any components found to contain lead-based paint. However, the long-term value in exempting a building is obvious. No more worrying about Lead violations, let alone Presumed Lead violations, and compliance with the EPA’s RRP Rule whenever doing any renovations in your building, may in fact be worth the one time hassle. Whether you go through the exemption process or prefer to handle lead issues and compliance as they come up, it is important to remember that Presumed Lead violations are still issued en-masse by HPD, often based on the assumption that the paint in the pre-1960 building must contain lead. If you and your team are prepared and can react quickly enough, these can be resolved without much cost or headache.